Once a connection is oriented either in a mobile device or a desktop, you can easily configure your mail easily straight away and it will up and running. Mobile devices can configure to automatically update your mail box information and also manage your mail depending if your performed a synchronization on your mails, luckily mobile device supports a number of various email providers such as Yahoo! Mail, Microsoft Exchange, Outlook.com,/ inbox and iCloud mails. Your email can be access in two ways namely from the mobile device and from the web based or client-based. All web based access is accomplished by installing the mail provider application which is available in the mobile device store. This method requires you to enter your user name and password to get access to the web based email application. On the other hand, client based email access is a bit more complicated and requires more information to access email services. Microsoft Exchange is a client based email system that allows mobile devices to synchronize with the server. Before anyone can set up a mobile device email, you need to be determined on the type of mail account you will be configuring. Business and corporate organizations will likely rely on a client /server email serve like Microsoft Exchange. A corporate email account is therefore usually therefore configured by an IT expert or administrator and not the user himself. In contrast, users that take advantages of their ISPs’ free email will typically offers, will typically have more control over their account and may use it more for personal communication and not professional. Depending on which email provider you are using, there may be additional settings that you need to speed up how you can access your and protect your mails. Your mail server should be configured in a way that will support either POP3 or IMAP. Post office protocol version 3 is a protocol that enables an email client application to retrieve email messages from a mailbox on a mail server. With POP3, the email messages waits in the mailbox on the server until the client retrieves them, either on the schedule or manually. Once the messages are retrieved and downloaded to the client, they are generally deleted from the server. The client then stores them and works with the mail messages locally, this is whole process when an email server is configured using POP3. The internet mail access protocol version4 IMAP4 is a protocol that will enable a client to retrieved messages from a mail server. With this protocol messages remains on the server while the client’s works with them as if they were local. IMAP4 enables user to access folders other than their mail box. The IMAP4 enables user to search through messages to download locally. Messages in the users mail can be marked with different status flags like stay in the mailbox until explicitly removed by user. Unlike POP3, IMAp4 enables user to access folders other than their mailbox. POP3 and IMAP4 are used for ISP and web email users setup. These protocols are not used with mail management servers such as Exchange, but server like Microsoft Exchange provides support from both protocols. For a secured authentication to take place to and from an email server, a security protocol should be used. Security protocols are used to communicate with SSL/TLS, S/MIME, and PGP In email. When configuring email server you should into concern that email server use different ports for incoming and outgoing mail depending on the protocol used. But before you can configure email settings, you will need to determine the specific port numbers that are used. 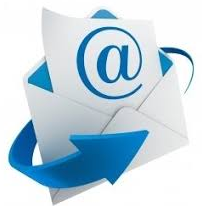 · The email domain which is the @———portion of your full email address. · Your mail authentication information’s, which might include your password, recovery mail, phone number as the case might be. · The access may need to visit your mail provider’s website to verify the host name and then suggest for you alternative if the name is not available. From the File menu click Info, then Add Account. Select manually configure server settings or additional server types then on click Next. User Name: Enter your Business Mail address*. Password: The app password you created. Under Incoming Server (POP3), check this server requires an encrypted connection (SSL). The port number in the Incoming Server (POP3) field should automatically change from 110 to 995. If it doesn’t, change the port number to 995. Under Outgoing Server (SMTP), select SSL from the Use the following type of encrypted connection drop down. Enter port number 465 in the Outgoing Server (SMTP) field. Click on Leave a copy of messages on server if you want to save your Business Mail messages on the Yahoo mail server as well as on your local computer. Don’t check this box if you want your messages to be deleted from the Yahoo mail server when they’re downloaded to Outlook. Check Remove from server when deleted from Deleted Items’ if you want Outlook to delete the copies messages on the Yahoo servers when you delete the copy in Outlook’s Deleted Items folder. Click OK to close the Internet Email Settings window. Click on next and your work is done. Gmail account set up is as easy as, that anyone can just type gmail.com and you will be ask to either sign up or singn in to your mail and take less that few minutes to create just by entering your name. choose a username, create and confirm password. Another thing that google will require is just your date of birth, and phone number for verification and security of your google account. Then if you have recovery you will type it and then location and click on next just these few steps and your mail box is setup. ← Reasons Why You should do a Factory Reset on Your Android Mobile.